"This is exactly what I wanted. I looked at these for a while. I have something similar, after a while it just didn't stand up to use. 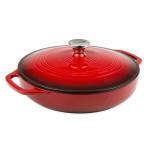 I also have..."
"Love this pan for small braises and several recipes that start on the stovetop and finish in the oven. 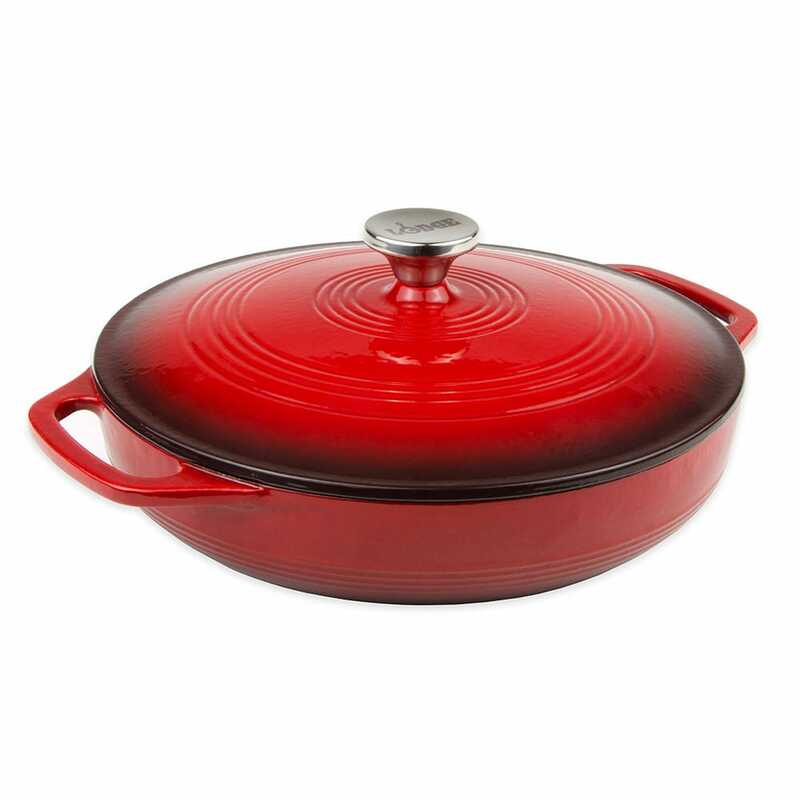 Great pan at a great price!!" "You won't find a lower price anywhere on the internet. $60.50 + $17.40 for shipping. Fast delivery, too. Thank you, Katom and Lodge!" "This is exactly what I wanted. I looked at these for a while. I have something similar, after a while it just didn't stand up to use. I also have my mothers Lodge black cast iron pan, I did recognise the quality. I used this pan earlier tonight not only did I have the room for a harvest hamberger melange (everything in season) plus the meat. The pan performed exactly as I wanted . This was also the best price online for this quality. even the French would be impressed." "I needed a shallow ovenproof skillet that I could use on top of the stove and then transfer to the oven when needed. This was exactly what I needed."